Easter is almost here but who can swear that they are already prepared for it? Usually in the beginning we start thinking about the menu but decorations are... an equally important element of the holiday atmosphere. Today we'll present you with a couple of ideas for easy to make DIY decorations. You can't miss it! You just need a white paper or plastic cup and a bit of creativity. Cut out ears from coloured paper and glue them to the inside of the cup. Then cut out eyes, nose and teeth and glue them onto the cup. Next, fill the cup with candy, chocolate eggs or other snacks and you're done! Prepare a couple of colourful cards and a bunny template which will make your work easier. You can also use a pre-made template which we've prepared especially for you. You can download the template here. 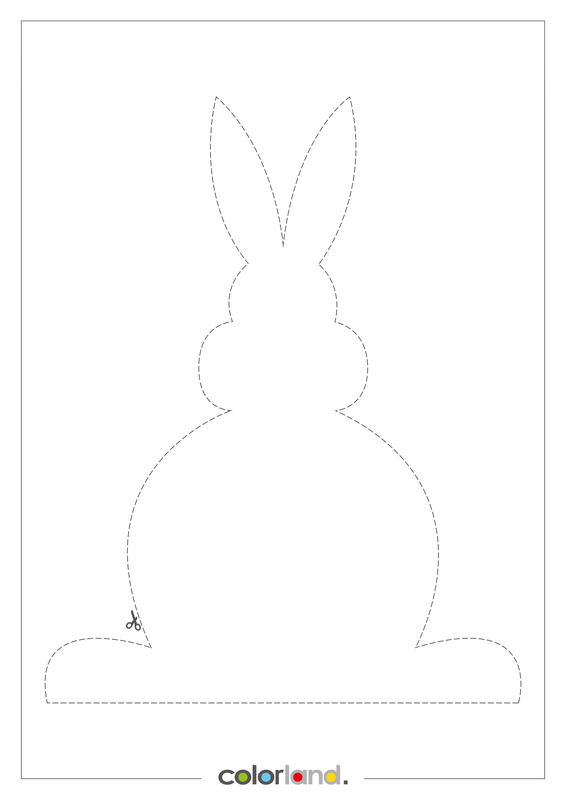 Copy the bunny onto a piece of paper as many times as you want, glue them to a ribbon and you're done! It's a perfect decoration even for the youngest! You can hang colourful bunnies by wooden clothe-spins to a jute twine and glue white pom-poms which will imitate the tail. Another handmade idea are Easter felt decorations. You can buy colourful sheets of felt in haberdasheries. In order to make an egg out of felt just cut out two oval shaped eggs and gradually put cotton inside while stitching them. You can also decorate such egg with flowers, felt leaves or beads and decorative buttons. In a similar and easy way you can make a felt decoration in the shape of a... chicken. Cut out two circles from yellow felt and 2 small hearts (which will be made into wings later on). Don't forget about the shell! You'll need to attach the eyes and nose made from beads before you stitch the whole thing together. And finally tie it with a colourful thread or a ribbon. Voila! Your original Easter decoration is ready! Other Easter gadgets can be made out of felt as well – what do you say about the Easter bunny? It's a little bit more demanding but still worth it. See for yourselves and share the effects of your work! Of course one of the Easter decorations which comes to mind first is Easter eggs! Easter eggs can be painted in various ways but before undertaking this extremely responsible task you should ask yourselves whether you want to eat the decorated eggs afterwards or not. If yes then it's important to use food colouring or natural dyes such as beetroot juice, etc. If you want the eggs to be strictly decorative then there's nothing stopping you! You can use poster paints to paint the Easter eggs. This way you'll quickly and efficiently achieve the patterns you want. After the paint dries you can leave them at that or add something more by hot gluing a small, decorative bow. What would you say about decorating Easter eggs with lace? To do that you can use a lace tape from a DIY store or... an old curtain! Remember that the art of handmade is also about recycling, making something out of nothing and giving it a new life. Or maybe instead of making the usual Easter eggs you should try making cute chickens and bunnies on sticks. You could use them to decorate your flower pots! Draw animal faces on hard boiled (important!) eggs and glue ears, legs and wings made out of felt to the eggs. Remember that you can paint such eggs with food colouring. Stick a barbecue skewer inside the eggs and you're done! If you want such decoration to last longer then consider blowing the egg out of the shell and then hot glue the skewer to it. 5. Egg shells as "miniature flower pots"
It might sound ridiculous but look at the effect you can accomplish! Draw a funny face on the shell, put a piece of damp cotton inside and sow cress or other sprouts. Enjoy your new window sill decoration as well as fresh green delicacies. You can also use the egg shells to make a green, spring table piece. The same way as with the sprouts you can plant small flowers in the shells and incorporate the whole thing into a painted egg carton. Eggs can be painted beforehand as well. You can create amazing decorations by using hot glue. Prepare a birch log, boxwood branches, moss, small flowers and egg shells. Glue the moss to the log and egg shells to the moss. Now "plant" the flowers in the egg shells. Such table piece is a perfect decoration for the Easter table. The first DIY idea we're going to present you with won't be too difficult to try with older children. Paint the egg cartons with any colours you like and prepare egg shells. You can also paint them beforehand. Melt the wax (colourful or regular) in a pot and have the wicks ready on the side. Pour the wax into the egg shells and put the wicks in as well. Wait until the wax cools down and voila! Have you ever thought you could make candles out of eggs? The other idea is for people who like elegant decorations – paint the egg shells with a bright pastel colour and glue them together in a circle. Put moss, catkins and decorative eggs inside the egg shells. To top it off put a glass candleholder inside the piece and it's done! Which inspiration for a DIY Easter decoration you like the most? Which one will you use this year? Make sure to share the photos of your DIY Easter decorations with us! We're extremely curious about the effects of your work!